Collar trench used for babies, teenagers and adults. The main indications for use of prosthetic collar are headaches, birth trauma, subluxation of the first and second vertebrae, cervical osteochondrosis, bruises, etc. patients are often the question arises, how to wear collar trench? The collar is a soft, comfortable, undulating collar. It is made of foam rubber, at the ends of a strap. The size can be adjusted in accordance with amount of the patient's neck. There are two types of collars, for newborns and for adults. They look slightly different, but equally worn. Collar for adults are not only larger in volume, more wide. Adult orthopedic collar to wear easier than newborn babies, it is necessary only to look at the picture on the package and put on the collar as well. If you are going to mount the tire trench to a child, be extremely careful and attentive. To suit collar baby, take it, attach to the neck of the child, to the most convex point of the structure was located directly under the chin. Visually it should look as if the tire lifts the chin and extends the neck. Then wrap the collar around the neck of the baby and fasten it in the back with Velcro. Don't get too tighten it, otherwise the child will be hard to breathe, also you can disrupt blood circulation and cerebrospinal fluid. Between the collar and the neck should pass index finger. However, buttoning it too loosely is also not necessary, because then the expected effect would not be achieved. Please note that one edge of the Velcro that secures the orthopedic collar, smooth and the other serrated. On this basis you can also determine whether you put on a tire, usually toothed edge is at the bottom and smooth at the top, if put on the contrary, the clasp is very hard to RUB the delicate skin. Collar adult is dressed identically. Wear a collar in accordance with the recommendations of the doctor, most kids with Krivoshey and subluxation of the vertebrae is prescribed to wear it constantly, for 1-2 months, then to secure the result you need to wear for 2-4 hours a day. 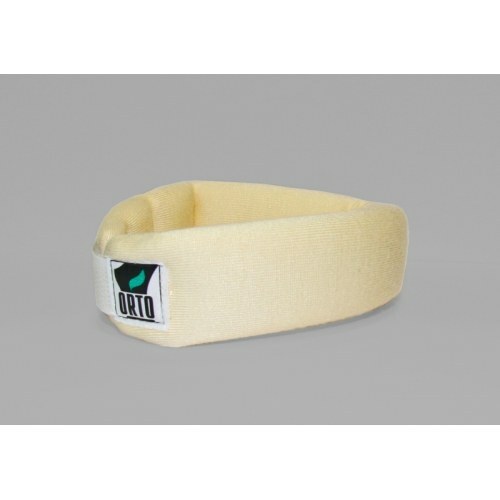 Adult orthopedic collar is prescribed according to the severity of the injuries. If you were not able to mount the tire or doubt, whether it wear, be sure to consult your doctor. He will tell and show you how to wear the collar of the trench.